Time for some ‘smalls’ in white. 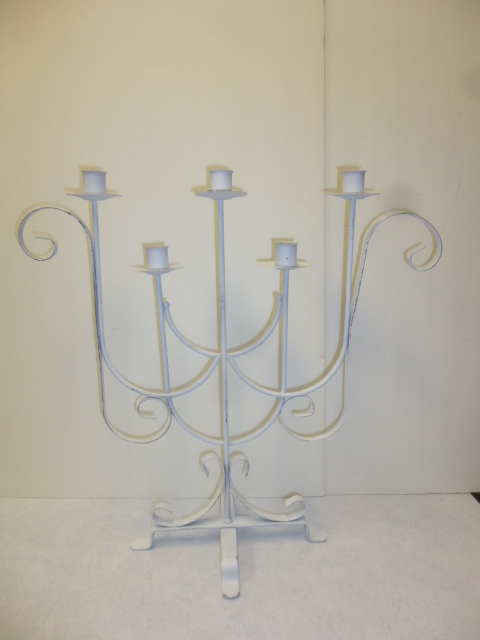 Now white (spray painted) and distressed along the edges. Hard to see the distressed edges, but they DO show up better in person. 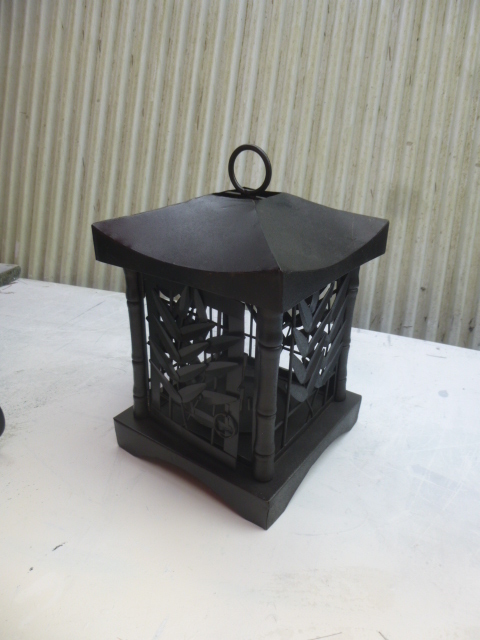 Little black metal bamboo lantern. 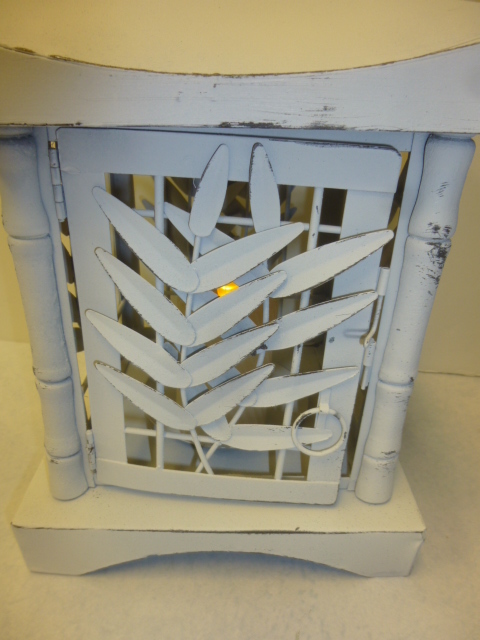 Spray painted white and distressed with a battery candle inside. 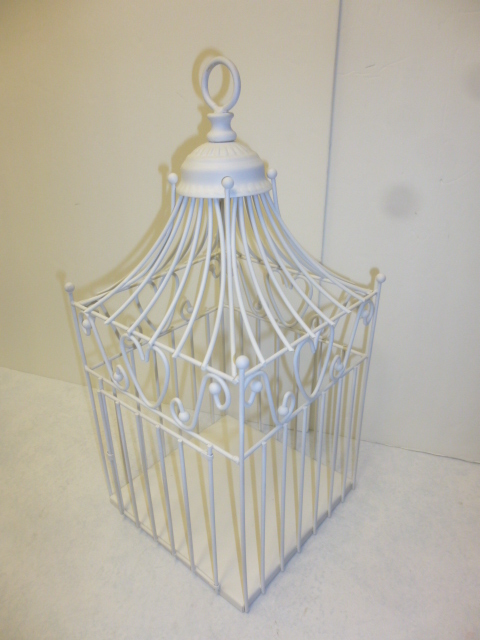 This bird cage was originally shiney gold; spray painted FLAT white. 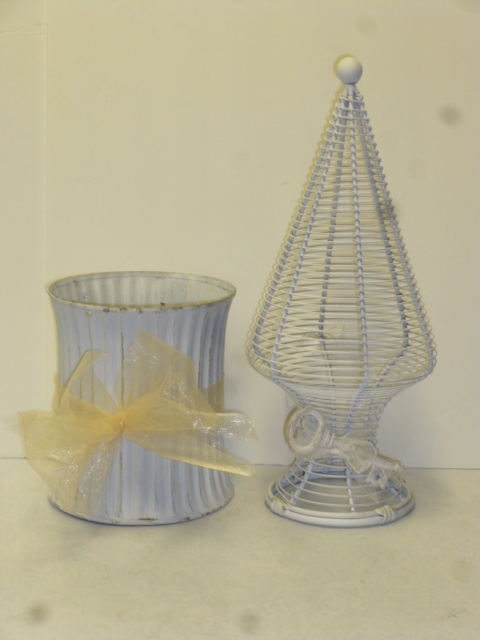 Corrugated metal can and wire topiary sculpture were both originally black. Spray painted FLAT white, and I distressed the can. 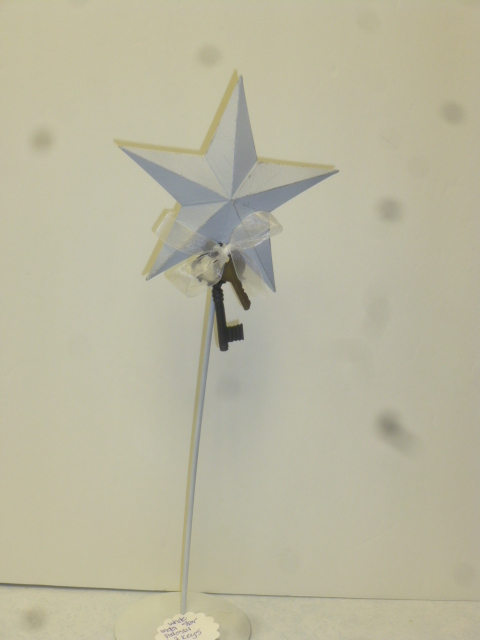 Metal star on a stand painted white with two keys tied on. 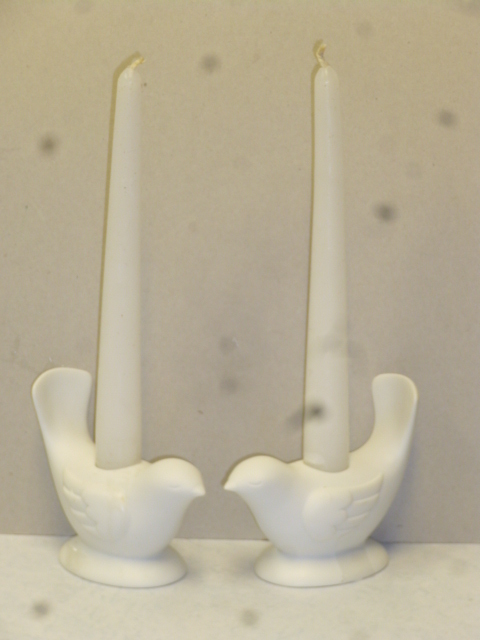 Thrifted white bird candle holders; already white. 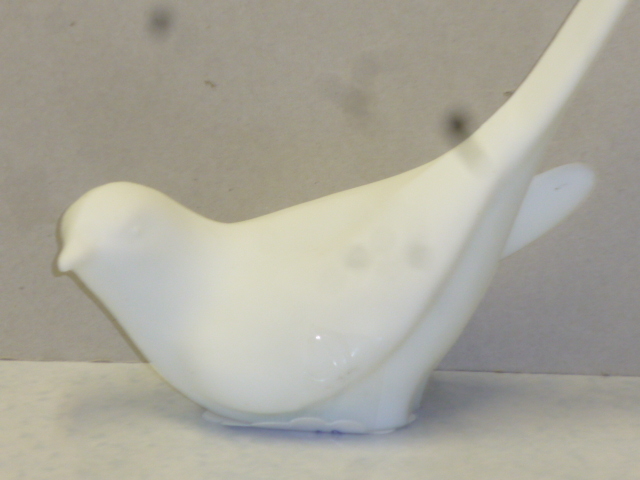 White soap stone bird was already white. 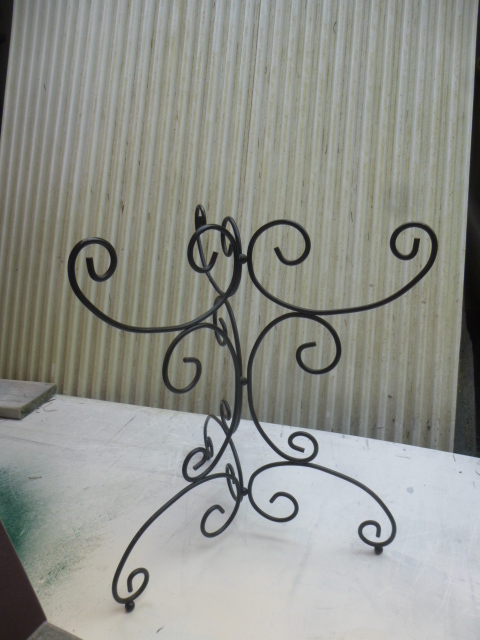 This metal shelf needs a few more coats; waiting for a DRY day to finish it up. Found this cool black base a while ago. 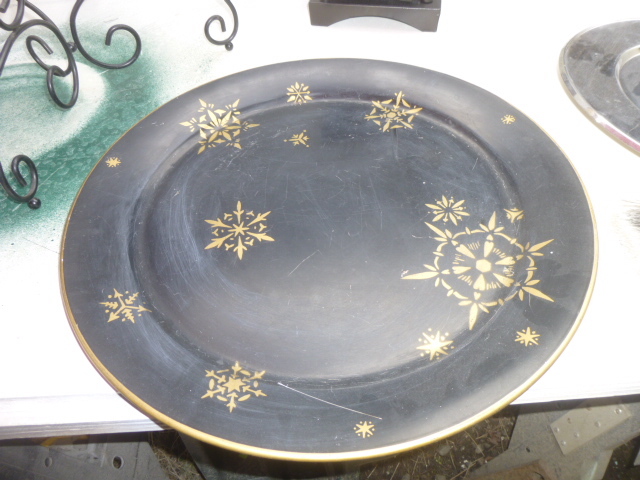 HAD this big vintage tray already at home. 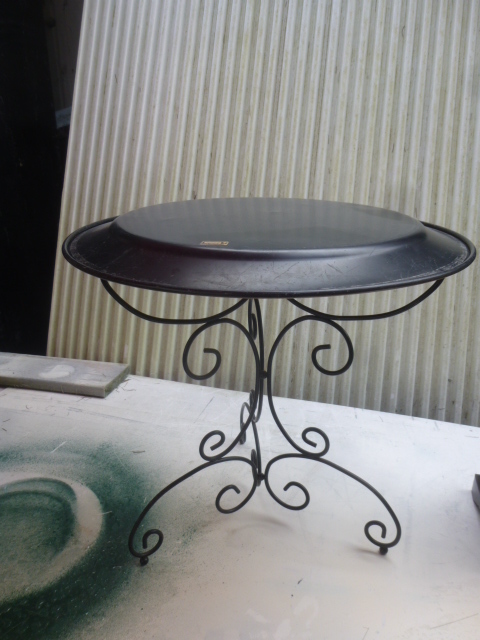 Would that base FIT this tray to make a little round table?? Well the tray didn’t fit ‘right side up’, but it does upside down! I glued the tray to the base with e6000. Wasn’t sure that it would hold well enough, but after a couple of days curing, it held tight! 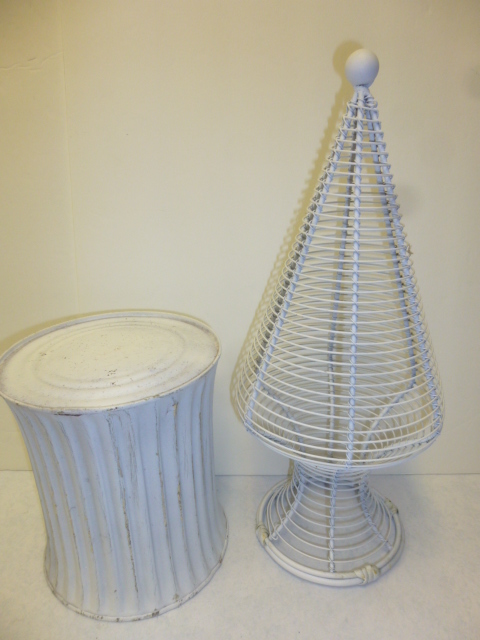 Waiting for that next dry day to paint this white. Anxious to get all this white stuff TO Stars and displayed! 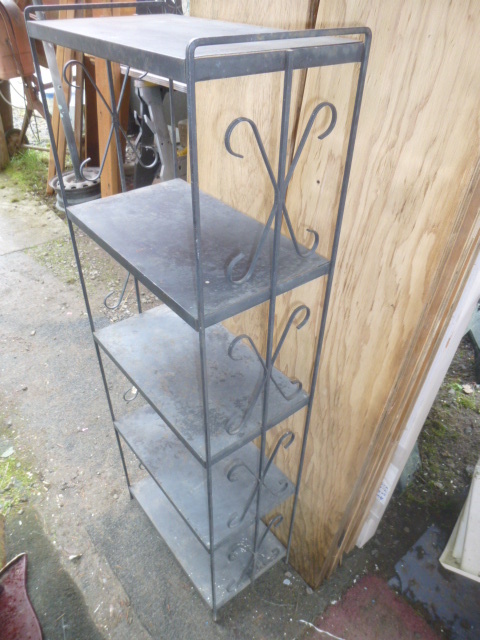 Half off moving sale at Curiosities continues until the end of March. Hey like what you did. I can see you like spray paint as much as I do. 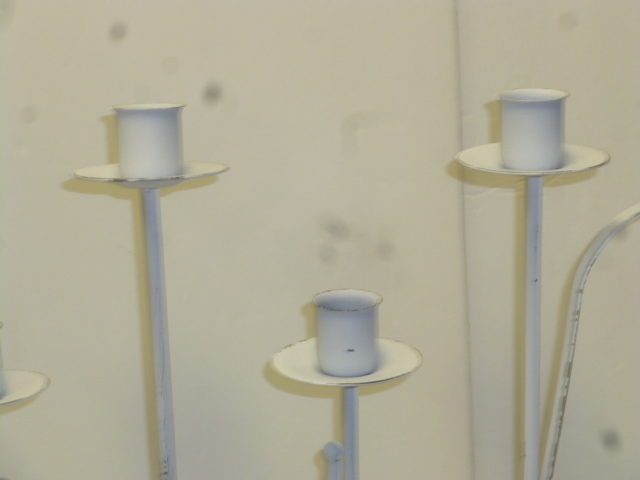 You might want to check out the small tables I made from tall brass candle holders and gold plastic charge. Just click on Diy in menu. 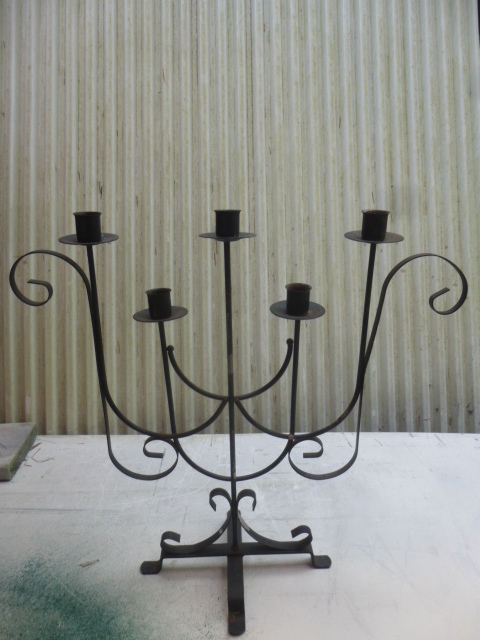 You might want to try these for your shop.